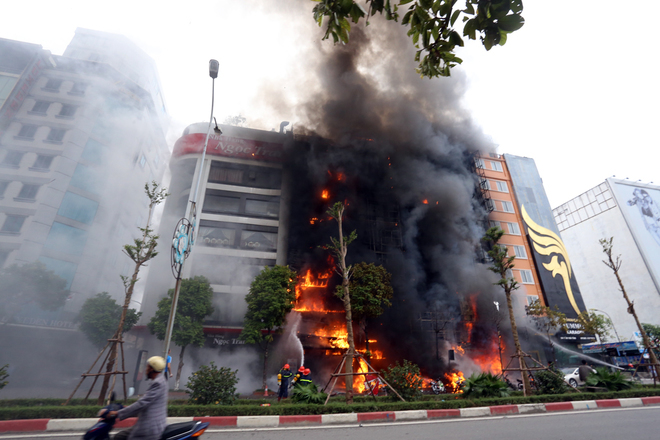 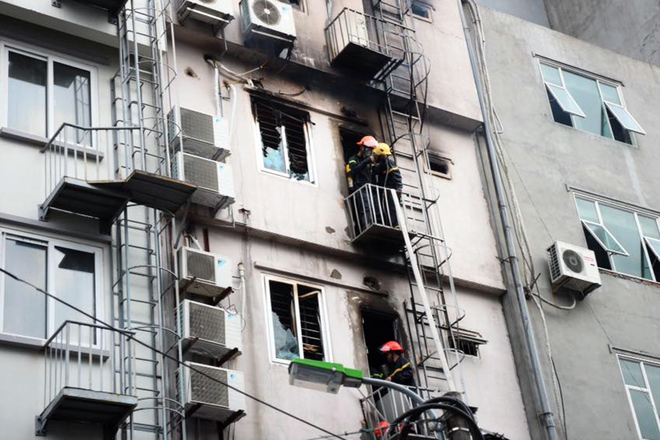 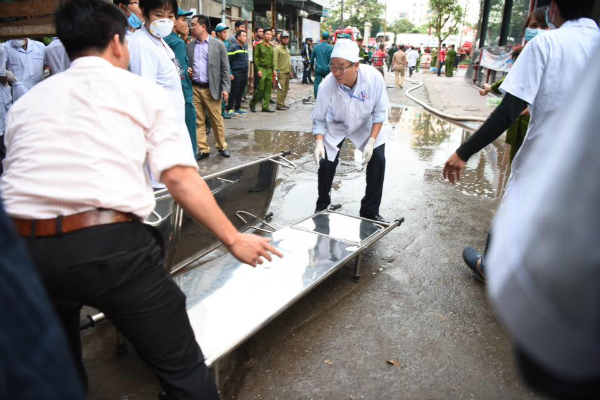 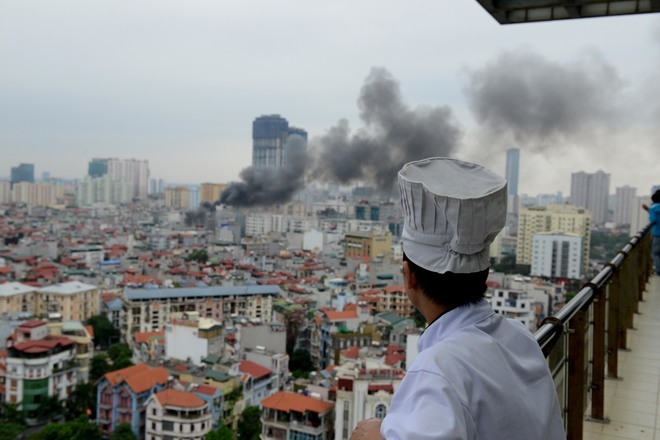 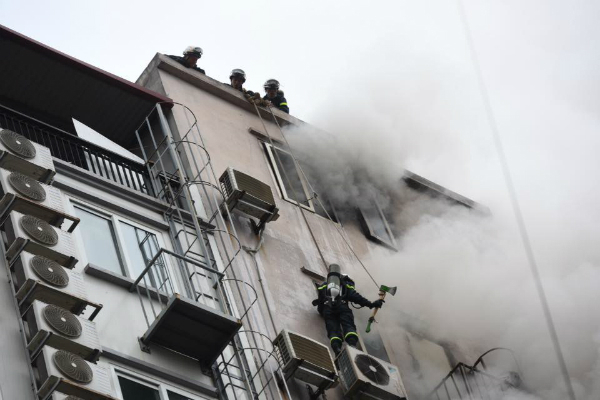 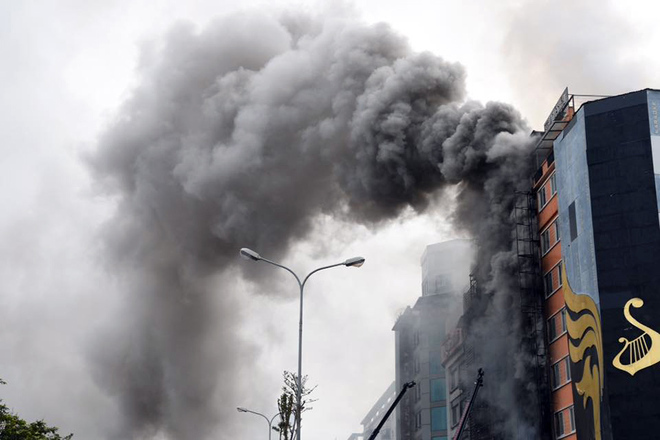 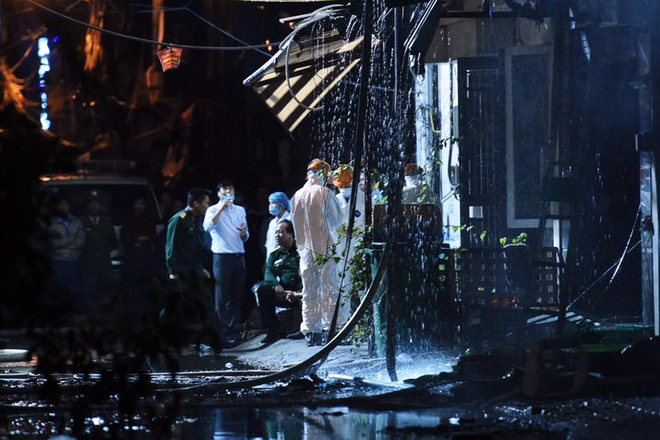 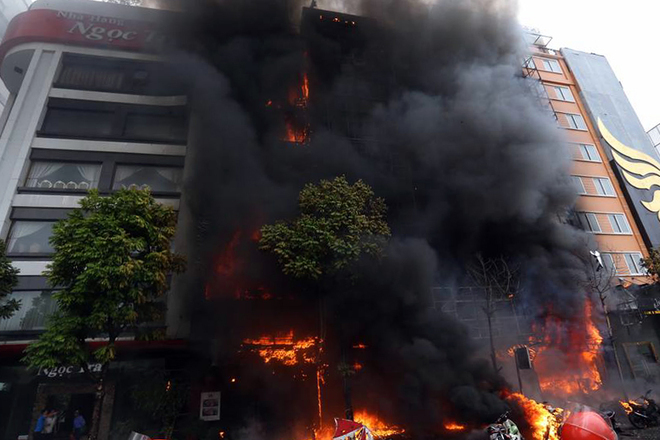 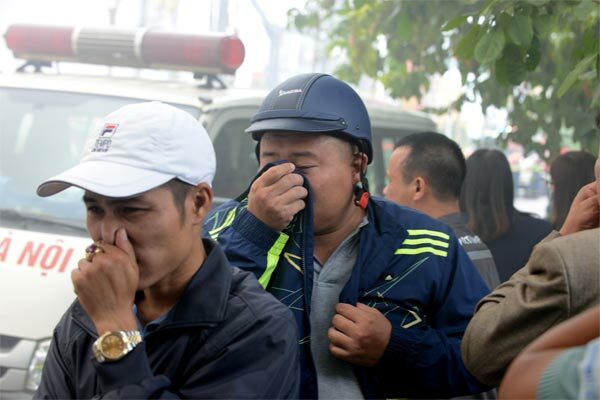 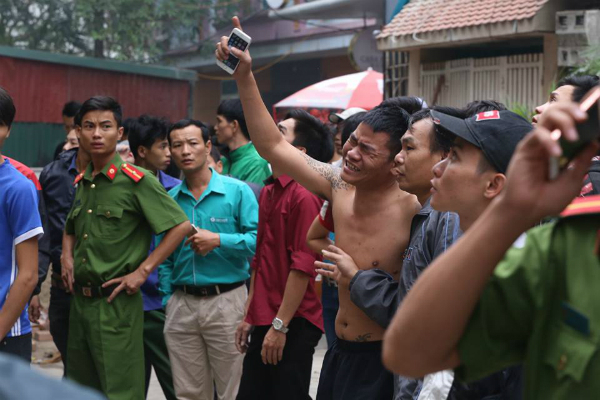 At least 13 people were killed after a fire broke out at a karaoke venue yesterday afternoon and tore through four neighbouring buildings in Hanoi's Cau Giay District. 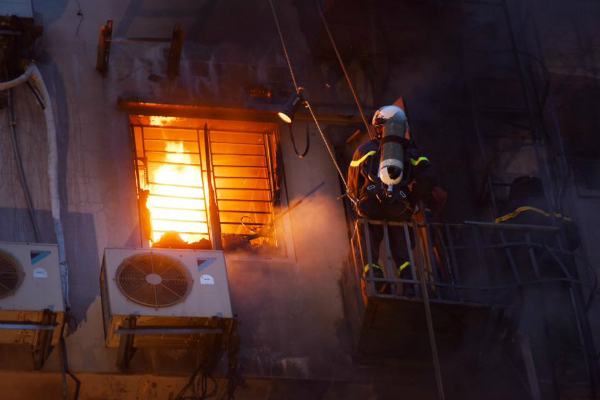 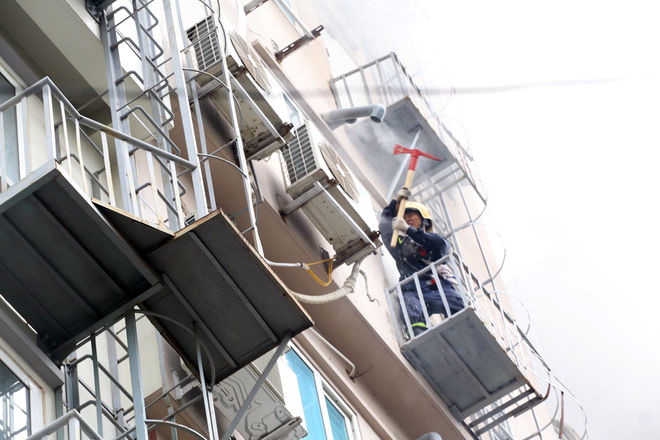 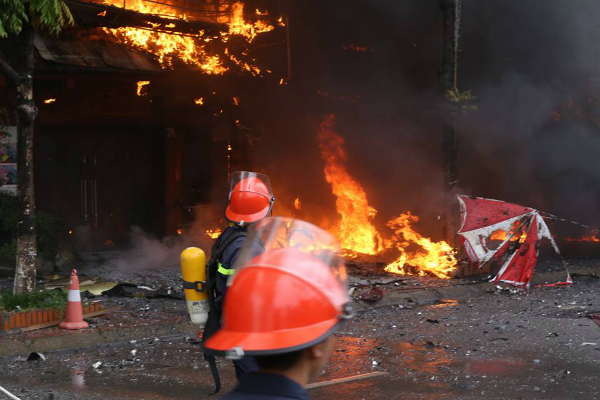 The blaze started at around 1.30pm at No 45 Tran Thai Tong Street and soon spread to buildings from 39 to 45. 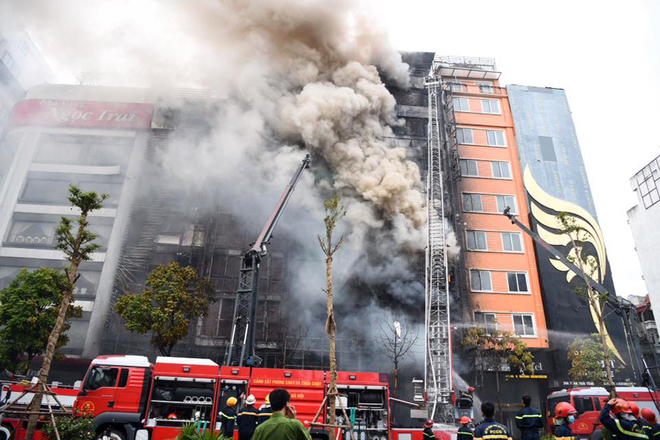 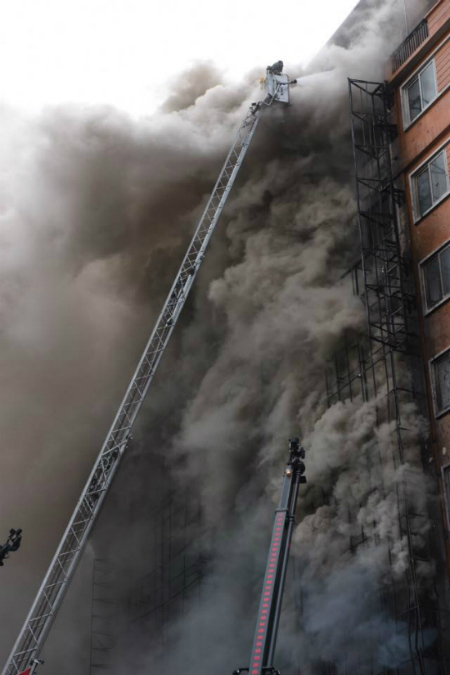 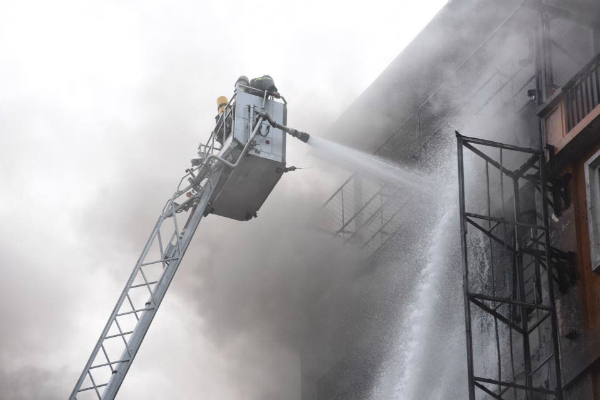 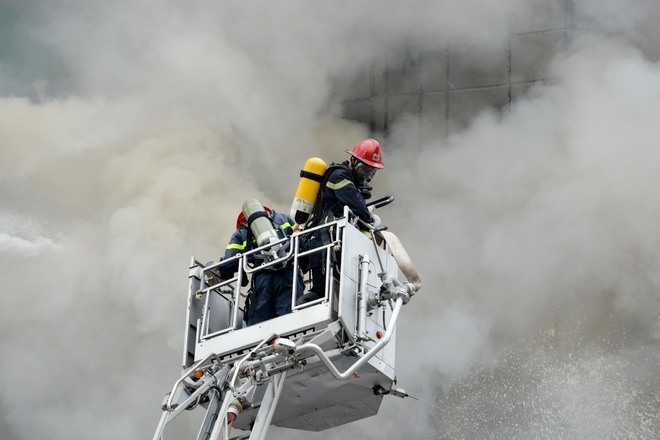 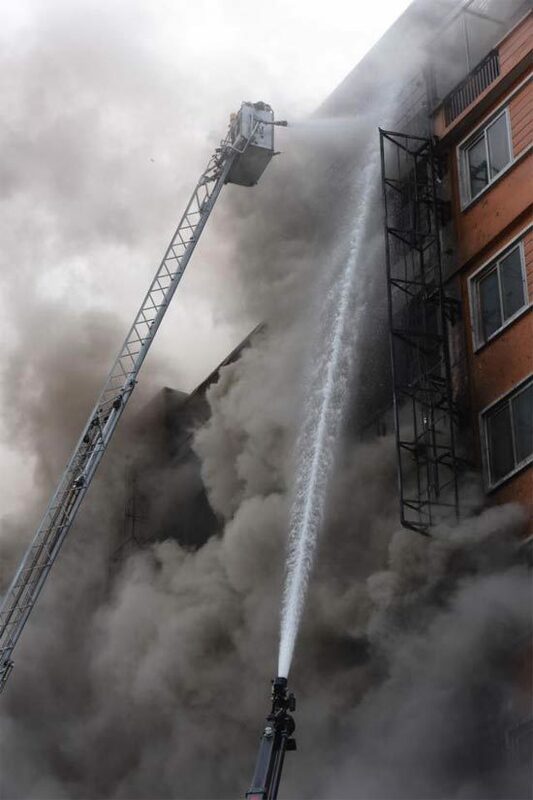 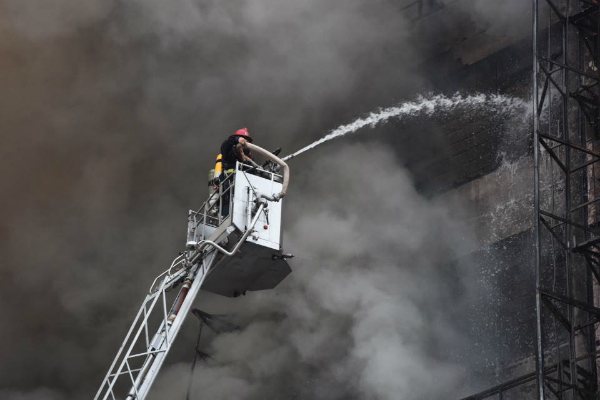 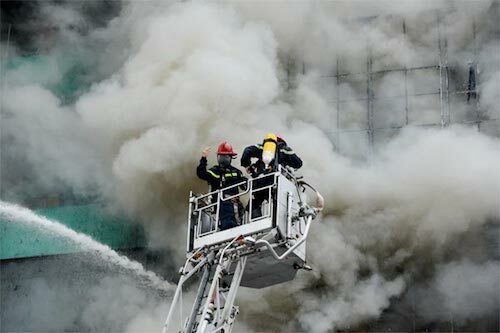 The buildings caught up in the blaze were six- to eight-storey structures that housed businesses such as restaurants, fashion stores and karaoke bars. 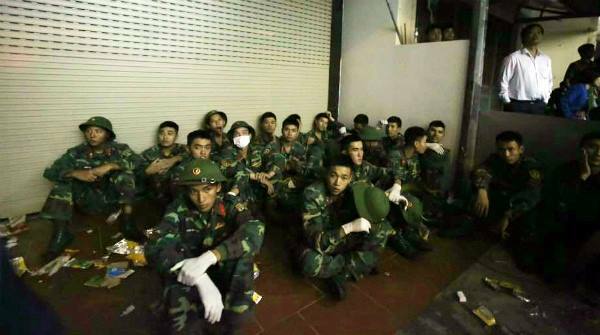 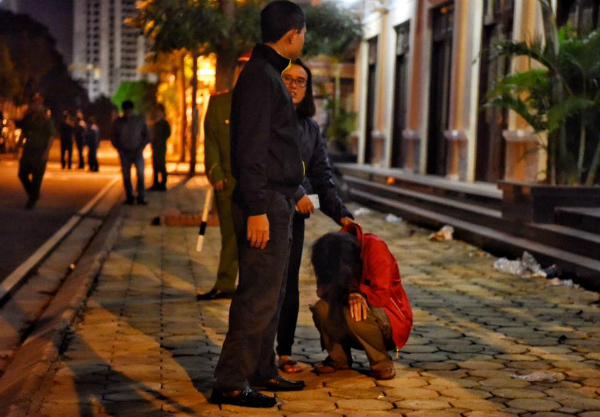 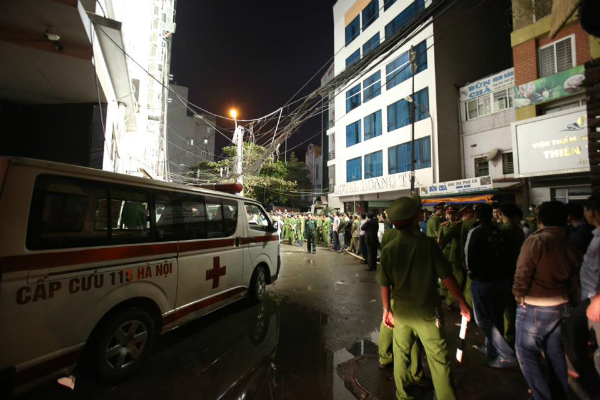 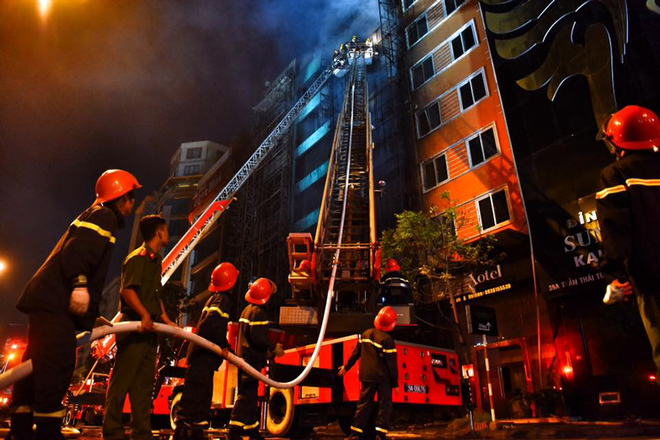 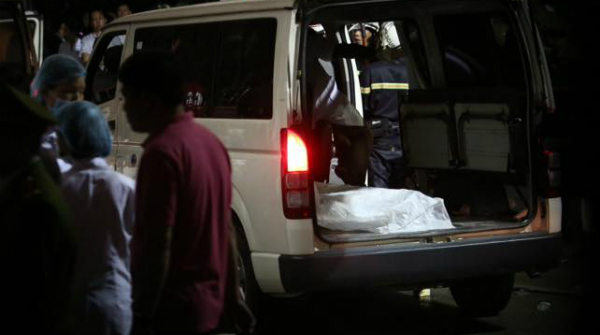 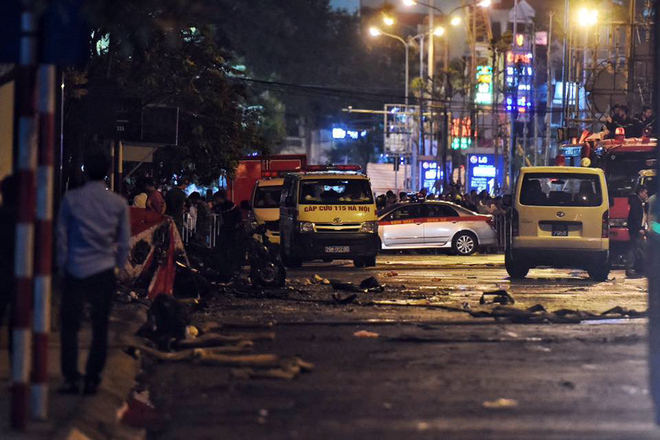 Major General Doan Viet Manh from the Ministry of Public Security’s Fire and Rescue Police Department confirmed to a Vietnam News Agency reporter at the scene that by 22.30pm last night, some 13 bodies had been found and pulled from the structures. 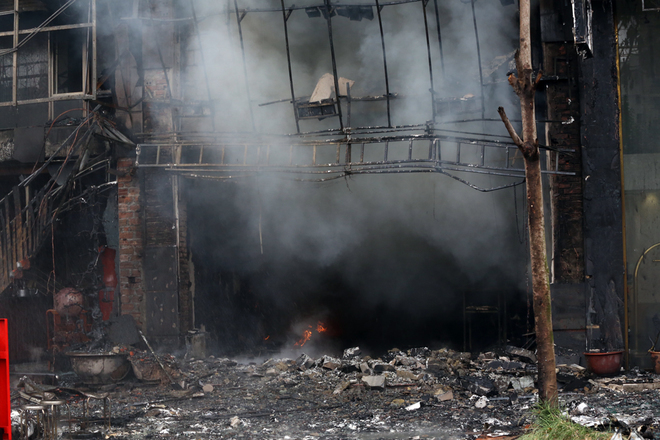 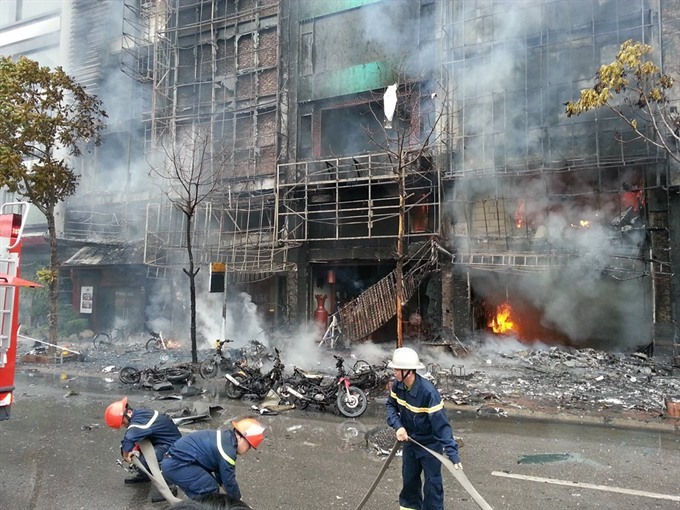 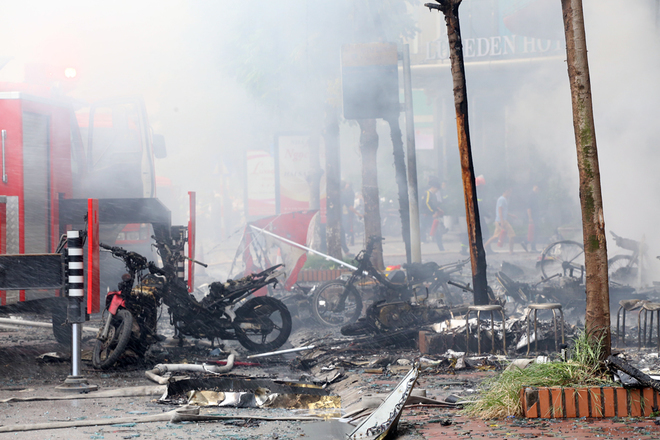 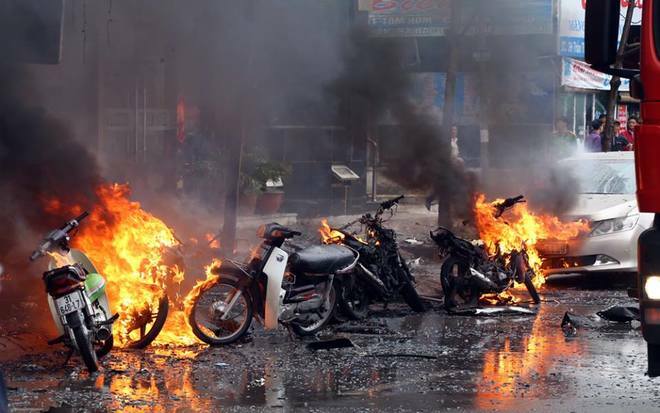 Several motorbikes parked in front of the buildings were also destroyed in the blaze. 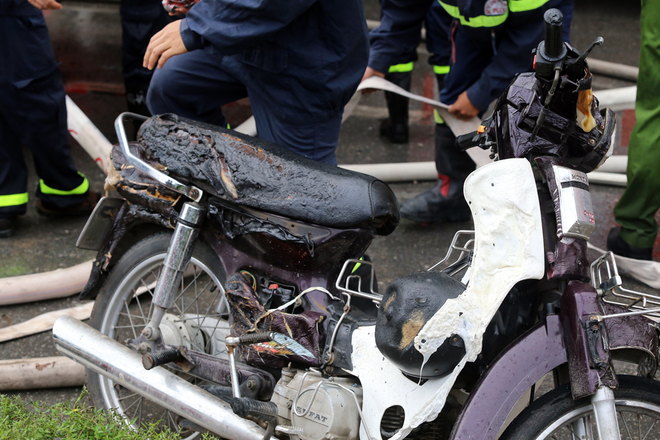 A five-seater car, located around 200 metres away from the site of the incident, went up in flames. 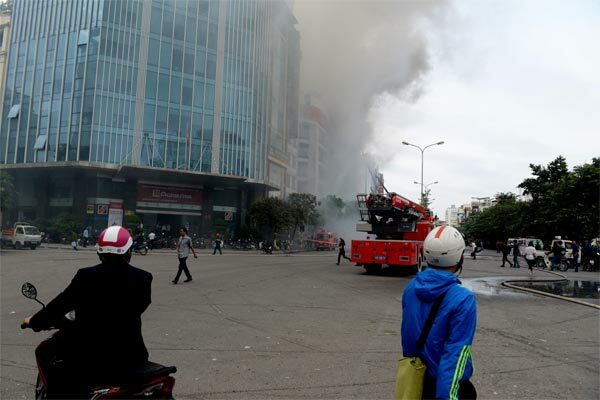 Thick black smoke could be seen from up to several kilometres away. 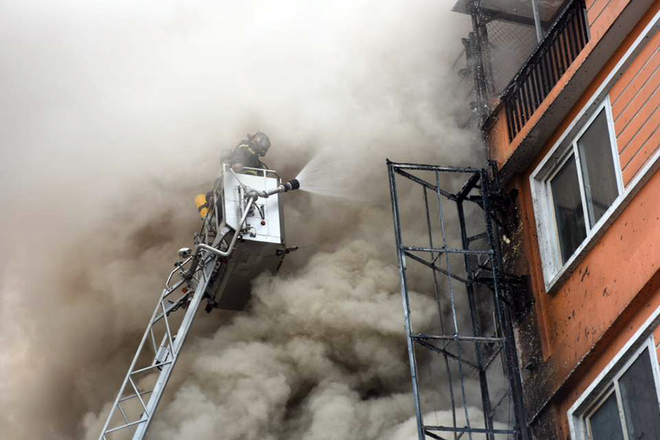 Eight fire trucks, 30 firefighters and two ambulances rushed to the scene. 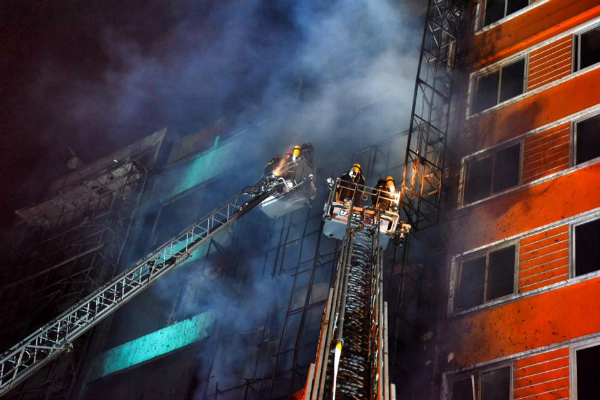 The firefighters are looking for victims who may have got trapped inside the buildings. 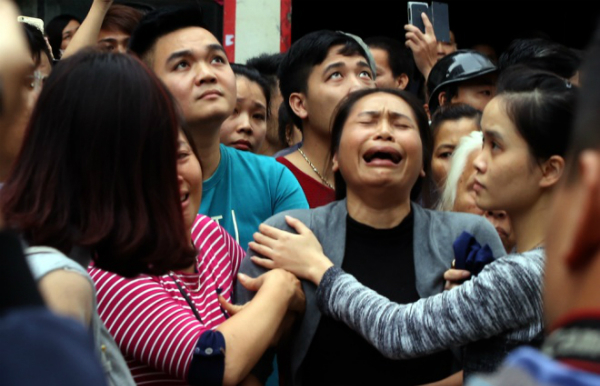 The total number of victims has not yet been released. 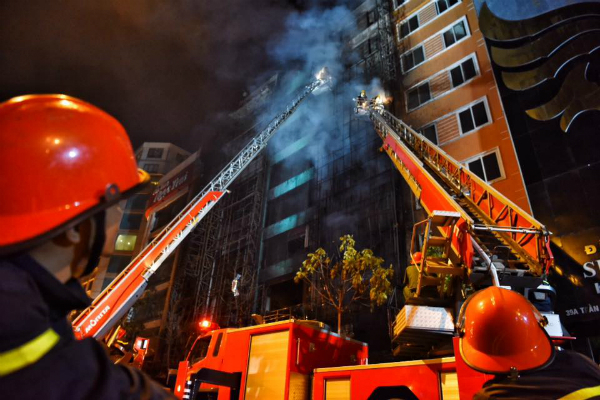 Witnesses said a group of welders were making an advertising board for the karaoke bar, and could have been the source of the fire. 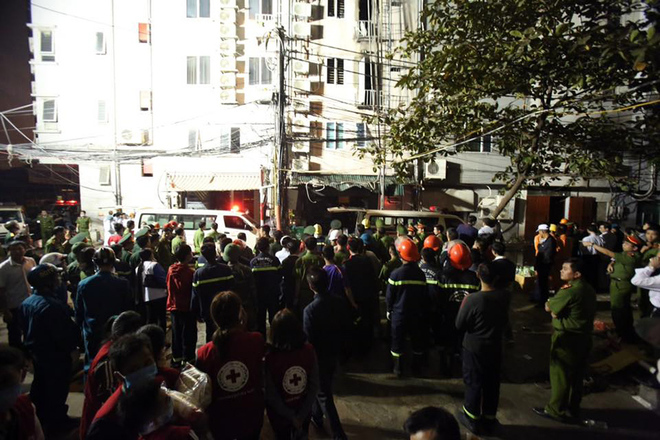 The city’s People’s Committee was asked to provide timely support to victims and their relatives. 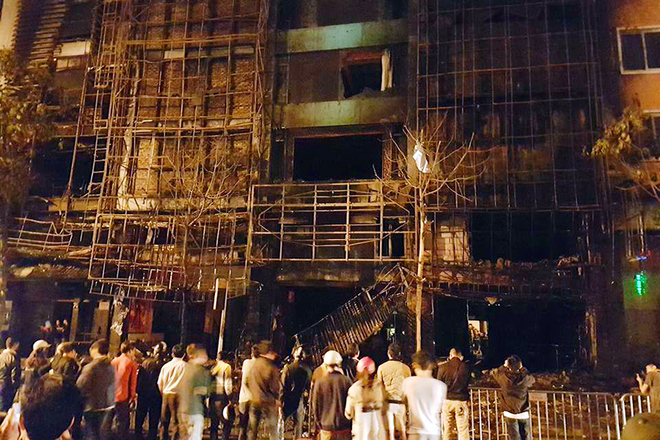 Additionally, all karaoke bars and restaurants in the city which fail to meet regulations on fire prevention and safety must be closed immediately, the Prime Minister ordered.